A skilled hypnotherapist can address a wide variety of issues. If you are new to hypnotherapy, the following are some typical questions. If you are being referred to hypnotherapy, or already have some personal experience with it, scroll to the bottom of this page to see a few of the most common issues addressed at Hess Hypnosis Heals. Hypnotherapy uses the tool of hypnosis to access a person’s subconscious mind and create beneficial change. When you are in the trance state you have access to information that has been hidden from the conscious, reasoning mind. This state allows you to create the change you wish. The hypnotherapist is the facilitator in that process, serving as a guide in subconscious. As the situation unfolds and unravels, the subconscious takes you where it needs to go for healing. Some people claim they cannot be hypnotized. As hypnosis is a state of agreement, one can only be hypnotized if they agree to it. Hypnosis is a natural state of mind. We enter into the trance state several times a day. Everyone experiences those brainwave frequency changes on going to sleep at night (hypnogogic state) and on awakening in the morning (hypnopompic state). Have you ever watched a television program or a movie and have had an emotional reaction (happy, sad, joy, fear.... ) to the content? In that instance, you have responded to the external suggestions of the audio (what you heard) and the video (what you saw), even though your conscious mind knew it was "just a movie." A clinical hypnotherapist is a trained professional who utilizes the tool of hypnosis to facilitate beneficial change. Many of my clients have become stuck and repeat the same patterns over and over. With hypnosis we are able to go into the feeling state of mind, and reframe the problem. In this state of consciousness a healing opportunity is created. The hypnotherapist is the guide through this process to assist you in creating the change you desire. As you leave my office you will feel calmer and more in control. Some people worry I might make them do funny things, like quack like a duck or sing like an opera singer. I cannot make you do anything you do not want to do. That is why your agreement to hypnosis is so important. If quacking like a duck offends your natural tendencies or is contrary to your deep moral compass, you will not quack while in hypnosis. If your mother sends you to quit smoking, and you do not want to quit smoking, hypnosis cannot make you quit smoking. YOU have to want to make the change. Many hypnotherapy websites attempt to list everything that can be addressed with hypnotherapy. Or it may be that those are the scripts they have in their library. I rarely use scripts and when I do, I am individualizing those suggestions. Usually I create specific, individualized suggestions based on what the client has said, how the client says it, and what the client's goal is. In other words, the hypnosis is client centered. Common issues I have addressed with hypnotherapy include: physical health issues, pain, stress, phobias, procrastination, maladaptive behaviors, strained relationships, unhappiness, fear and dissatisfaction. As I guide clients to change their emotional energies, they experience improved functionality, better relationships, greater life satisfaction and a healthier lifestyle. More specific symptoms include anxiety, panic attacks, nightmares, intrusive memories, high blood pressure, grief, job dissatisfaction, life dissatisfaction, bad relationships, bad habits, poor decision-making, and poor self-esteem. What is it that you want to do that you currently cannot do? What is it that you want to stop doing that you currently do? When I first opened my holistic psychiatry practice my daughter joined me as a hypnotherapist. Since I was busy prescribing medication, I referred clients to her for hypnotherapy. I sent a client to her who was suffering anxiety, with the intent that she could learn how to relax. The client returned to me claiming that the hypnosis had not helped much, so I put her on medication. One day she showed up at my office in a full-blown panic attack. Being the good hypnotherapist, I met her where she was in that emotional state, talked her into a deep relaxation, and the panic subsided. As I returned her to normal awareness she exclaimed, “Oh, is that hypnosis?” I calmly responded, yes. “How come it did not work with Katie?” she asked. Hypnosis requires trust between the client and the hypnotherapist. When the client trusts the hypnotherapist and is fully committed to change, it is amazing what can be accomplished with hypnosis. Yes. Hypnosis is a natural state of mind. We go in and out of hypnosis all day long. When you sit quietly to watch TV, you enter a trance state similar to hypnosis. When you sit in a movie theater, listen as the music gets louder, then jump as a knife slashes across the screen; or laugh at a funny scene; or cry during a sad scene, you have experienced a similar altered state of consciousness. Yes, you can be hypnotized. Yes, you can change IF you want to. Call me. at 520-888-9338. 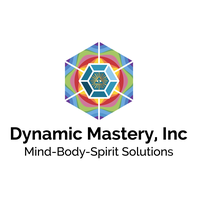 I will do a free telephone consultation to explain hypnosis and how this powerful technique may work for you.